Performance based on the data available from the Government Authorities / Trade Bodies & Growth etc. Companies are allowed to nominate in as many categories as they deemed themselves to be fit. Nominations are accepted only against a signed declaration from the designated personnel from that company that all information furnished is correct and binding. Any information found to be untrue at any time would render them disqualified from the process. Nomination entries are free of charge. No cost is involved in nomination entries. The deadline for nomination entries is on Tuesday, 30th April 2019. The organizers reserve the right to reject the entries submitted after the deadline. 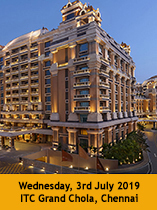 The official online forms are available at www.eximindiaevents.com for filing nomination entries. Entrants must provide sufficient supporting to enable the judges to understand the process and the merits. The form with supporting must be submitted electronically. No entries will be accepted in hard copy. Judging panel will assess all submissions. 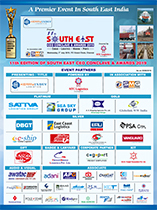 The winner will be announced during the awards ceremony at the 11th Edition of South East CEO Conclave & Awards 2019 on Wednesday, 03rd July 2019.